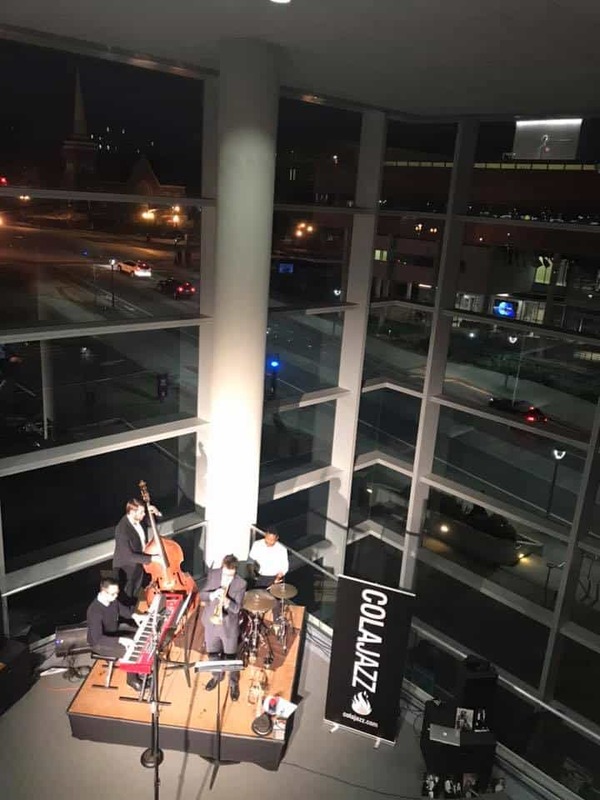 ColaJazz and the Koger Center for the Arts present a quarterly jazz series dubbed “Live in the Lobby: Jazz!” presenting world-class jazz performances in a very unique, exciting space in the Koger Center – the Grand Tier! 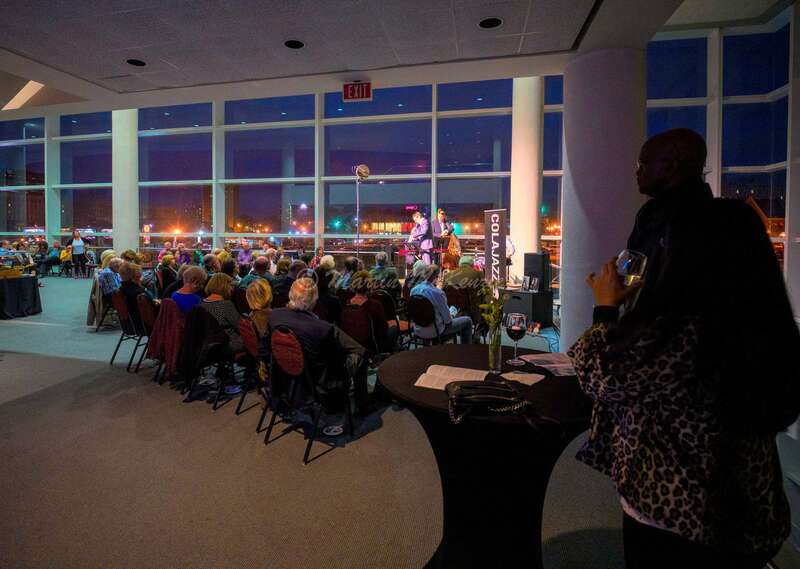 This second story level of the lobby is surrounded by a wall of stunning glass windows and the acoustics are surprisingly perfect for an acoustic jazz set. 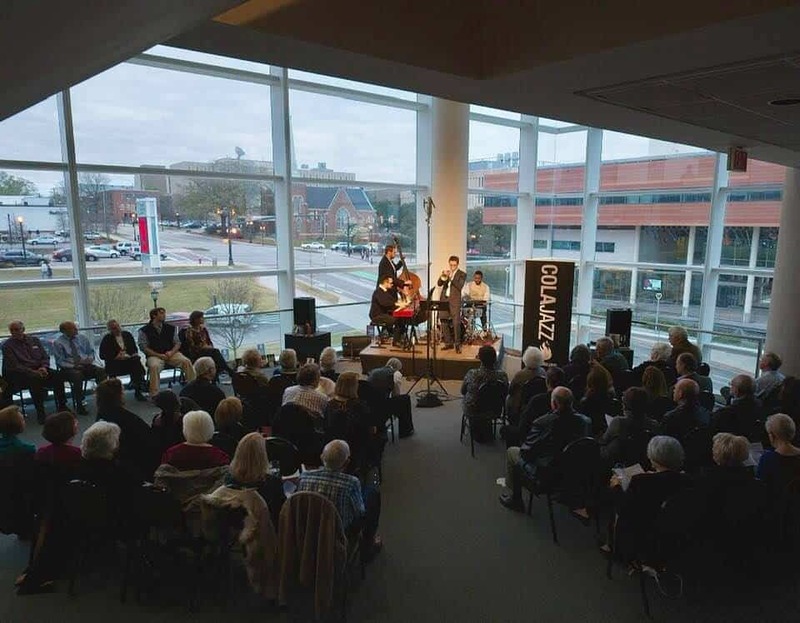 The inaugural concert featured the Mark Rapp Group celebrating Marian McPartland, famed NPR “Piano Jazz” host, jazz pianist and composer. 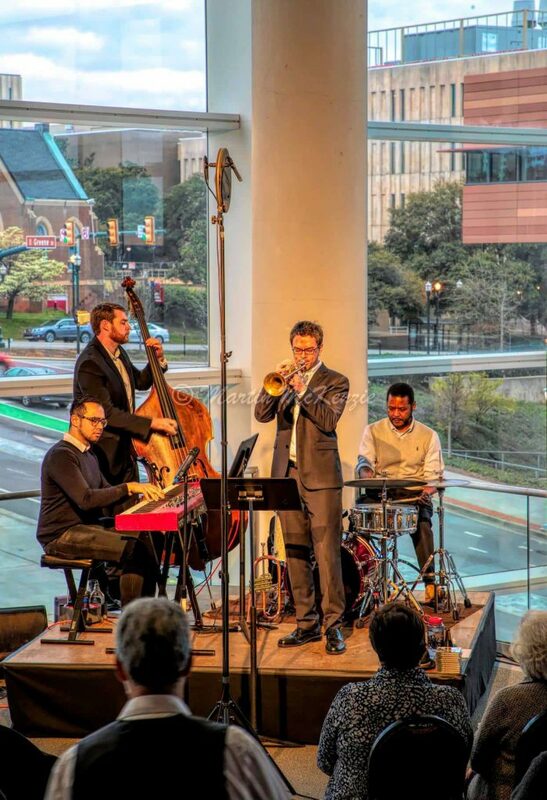 Mark Rapp brought many of Marian’s original compositions back to life with his all-star quartet comprised of Jonathan Lovett on piano, Ocie Davis on drums, Sam Edwards on bass and Mark on trumpet and flugelhorn. The audience heard choice clips of Marian introducing her various guests and they saw some wonderful archived photos thanks to South Carolina ETV. 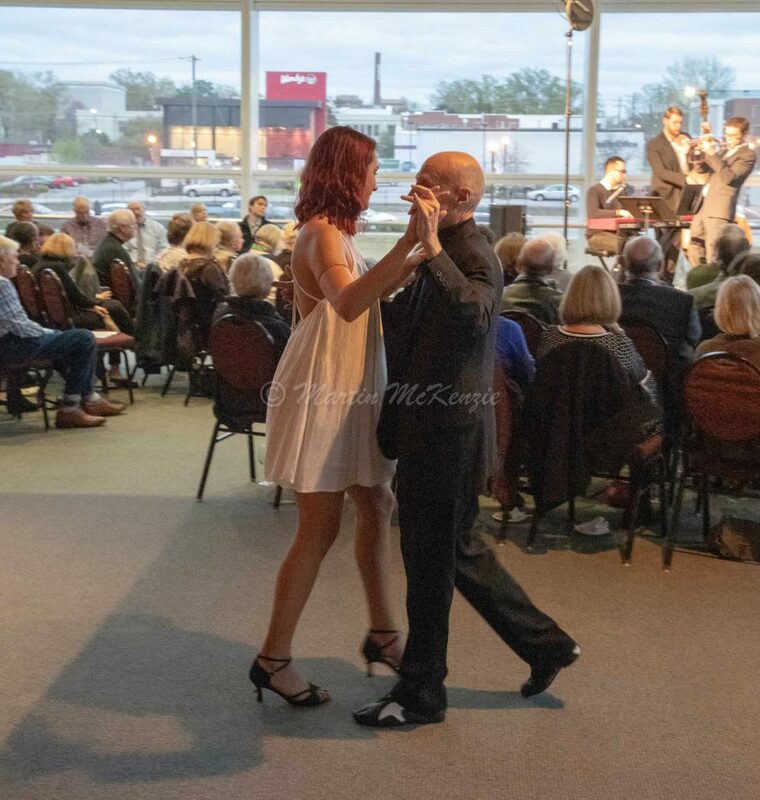 A delicious variety of small plates catered by Horseshoe Catering was included in the ticket price and a cash-bar with wine, beer and other refreshments was available too. Special thanks to Koger Center, Horseshoe Catering, SC ETV and NPR! SC Public Radio’s Tut Underwood produced a wonderful segment aired nationally on NPR Radio. The next event is June 21st!